Usage/Application: Home, Office, Hotel etc. Available Shape: Rectangular, Square etc. 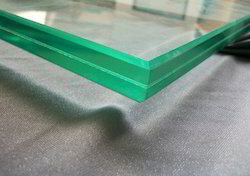 We are one of the well-distinguished companies in the market that are into offering Laminated Glass. Our company has set benchmark in offering Laminated Glass. Laminated Curved Glass is produced by permanently bonding two pieces of glass together with an interlayer or resin. Curved laminated glass is custom made for each project and as such can be produced to meet a variety of designs; whether this is a complex curve with flat tangents or a straight forward cylindrical curve. Tough Glass India Pvt. Ltd. It is manufactured by permanently bonding two or more lites of glass with layers of polyvinyl butyral (PVB) interlayer, under heat and pressure, to create a single construction. 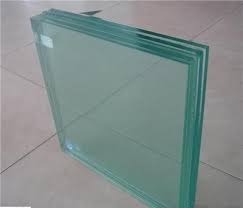 Gurind laminated glass is a high safety glass. And laminated glass does not break as ordinary glass does. It absorbs all impacts and remains intact even after breaking.